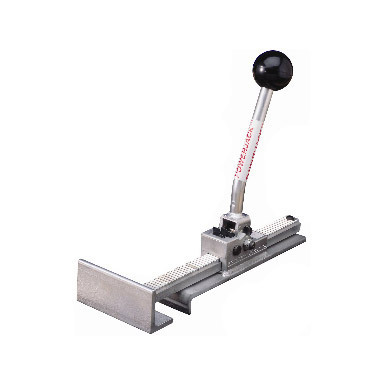 The Powernail Powerjack 200 is designed to screw directly to the sub floor and push against your flooring strips. The Power jack 200 is used mid-floor to seat flooring tightly and can be repositioned as needed. The Power jack range is designed to pull or push tongue & groove flooring strips into place and hold them tightly for hands-free nailing. Powerjacks will work on almost any thickness flooring without damaging the flooring surface. They can be used next to the wall, at stud locations or anywhere else on the floor.